I must admit, when I was contacted the week before to shoot a surprise, flash mob style elopement/wedding on July 4th, I was a little worried. For those that don't know the fourth of july in the nation's oldest city is a serious production- in which traffic is stopped and 70,000 odd visitors (wedding-crashers) flood into downtown to watch nationally applauded fireworks display. When Grayson mentioned they wanted to hold a surprise ceremony on the bridge of lions, in the thick of the action, I imagined total chaos. Luckily, total chaos is something I tend to see opportunity in- so after a little thought, I decided that it was a worthwhile challenge. The day ended up being an absolutely amazing experience. 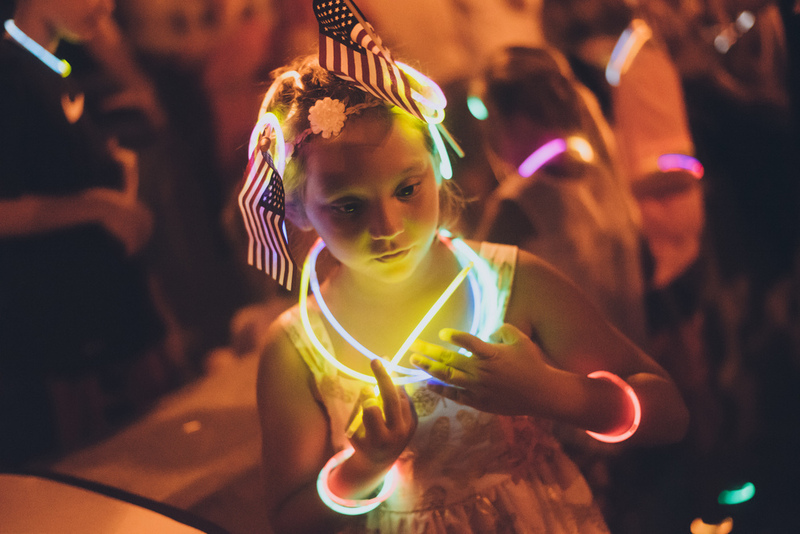 We got ready at Grayson's mothers house near the Bridge of Lions, and somehow the whole event went off without a hitch, amidst the crowd and cacophony of America's (and Saint Augustine's) biggest party of the year. Here are some frames from the celebration.